MexPup is more than anything else, a community of animal rescuers who came together to make a difference. Whether it's rescuing animals, treating animals, providing discounted services to rescued & adopted animals, raising money or giving of their time, all the businesses listed below are an important part of MexPup's success. Even though these people have never asked for anything in return for their help, we wanted to make sure that we recognized them and encouraged the friends of MexPup to become friends of theirs also. Our local hero Vet on the Mexico side, Paco Aguilar has done so much to help us over the years. He, the other Veterinarians, and staff at Sabuesos have been indespensible and we could not do what we do without their help. Almost all of the veterinarian care MexPups receive in Mexico comes from this great group of people and they offer this help to us at such a discount it can't be considered anything less than charitable. So, when you hear that one of our animals has needed additional surgeries or other medical attention which we're seeking help for, keep in mind that our costs here are substantially lower than they would be in Canada or the US. 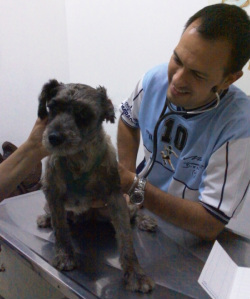 If you're ever in need of a fantastic vet when you're in Puerto Vallarta, please go see Paco at Sabuesos. He is a great friend to Puerto Vallarta's homeless pups. 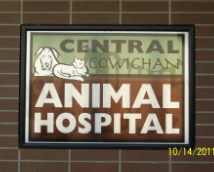 Central Cowichan Animal Hospital in Duncan, British Columbia is a full service companion animal hospital. It is their commitment to provide quality veterinary care throughout the life of your pet. Services and facilities are designed to assist in routine preventive care for young, healthy pets; early detection and treatment of disease as your pet ages; and complete medical and surgical care as necessary during his or her lifetime. If you follow MexPup pups then you probably know how many pups Keith has helped over the years. Keith has always provided helpful solutions and we can't say enough great things about about him and his wonderful staff. 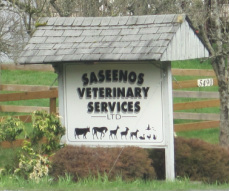 If you live near Duncan and need a vet, we highly recommend this office! We appreciate all they do for MexPup and the fact that they really care about rescue animals. Saseenos has not only helped care for MexPup's in foster care, but they have done a great job for some of our forever families. "Being new to the island I was looking for a great,reliable vet clinic. Word of mouth sent me to Saseeno's and they were the most warm and considerate vets I've ever met. Treated my dogs as if they were their own and it was a great experience. 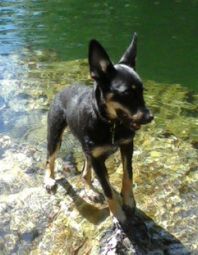 They will forever be my vets now as I now trust them implicitly with all of my animals." Unit 7 1601 Burnwood Dr. Proudly located in the Renfrew-Collingwoodneighbourhood of East Vancouver, our doggy daycare, training centre, and full-service grooming salon serves thousands of clients throughout the Lower Mainland. Special Rates available for MexPups! Want proof? Check out how Exon's doing! To see a full view of Services, please check out this video! Sal Pacific Canine Obedience is headed by Mike Annan. Mike is a Canadian Institute of Professional Dog Training accredited Canine Instructor, Canine Behavior Consultant and a member of the Canadian Association Of Professional Pet Dog Trainers. Mike has ten years experience training and rehabilitating a variety of behavioural issues in powerful and small breeds using progressive calm energy, relaxation, re-direction, positive reinforcement, and customized behaviour programs for his clients. Mike comes with a long list of both personal and professional testimonials as well as professional accreditations including conducting a canine safty seminar for the B.C. Hydro meter readers. He also has well over 200 behaviour cases documented and solved professionally and an extensive working knowledge training dogs to Canadian Kennel Club competition standards. Mike has studied several national seminars and has extensive academic background with studies including the evolution of the domestic dog, early puppy training (subconscious level), complete health care and dog management, and a broad range of canine behaviour from severe aggression to severe fear based issues. We know Mike does great work as demonstrated by the wonderful results we've seen with our own Mexpup Gracie. Thanks Mike for helping Gracie overcome her fears and challenges and ultimately help her have another chance! Heather and her highly trained staff at Beast Canine Services have been there for Mexpup. Heather and her team offer several services including dog training, walking, socialization and boarding services. Heather boasts a series of accreditation: Animal Welfare Certificate, Dog training diploma, Canine first aid (and certified instructor) and much more! Heathers team consists of Jessica, Francois and Aviva who are also also highly accredited. She has helped our pups, and also helped many other dogs and their people, and we know she can help you! Kelcie is a MexPup supporter. Their business has assisted Mexpup with foster dogs that need bathing and/or grooming. It would be great it you would consider supporting this business & maybe drop a dollar in the Mexpup Donation jar while you are there. 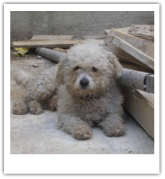 Wonderful Silvia Panziera is raising money for MexPup with a donation jar at her pet grooming salon. Please support this salon and maybe drop a dollar in the jar while you're there. 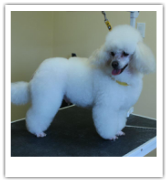 Alanna Brooks at D'TaIls Grooming has helped care for the grooming needs of Mexpups long after they arrive in Canada. Having had a family member who adopted a Mexpup herself, you can see how she transformed this once dingy pup into a masterpeice. Consider bringing your pup for D'Tails grooming where they don't rush, they fuss. Welcome to Dogwood Kennels! We have been the pet care facility of choice for numerous people and their dogs and cats since 1978. Dogwood, a fully licensed and insured home away from home, is located in a tranquil country location in Highlands, near Victoria, BC, only five minutes from Costco and Home Depot. The well-being of the pets in our care is of utmost importance. Our family owned and operated kennel is designed to facilitate frequent human interaction and monitoring, and to be secure, clean, and easily maintained. Samanda the owner of The Dog Dish and Friends is offering all Mexpups a 20% discount storewide. All you need to do is bring your pup into meet her so she gets puppy love and you can shop, shop, shop. Samanda recently adopted her own Mexpup named Whiskey who will be the shop dog in no time. K9HQ has been invaluable to helping our pups with socialization and leash re activity. They are an integral part of our rescue chain and provide training, guidance and structured play for all Mexpups who are needing that little bit of extra work. They have helped numerous Mexpups and we cant thank them enough. Grooming ~ Tuesday – Friday ~ Call to set up a time ! Alana provides a great massage. Please contact her to make your appointment today. Marcella, Ron and Mary a big woof thank you for all that you do for us at Mexpup. We could not do this without you all. Joe is the owner of Landsdowne appl﻿iance and he is offering p﻿izza each Saturday in his store at his cost, he will ask for donations from customers and all the money will go to MexPup! Pet Waste/Dog Poop Removal company. Greater Victoria, Langford, Colwood, Sidney and the Peninsula. Locally owned and operated, the Bosley’s franchisee locations at Westshore Mall and on Shelbourne Street offer a welcoming staff that truly cares about the nutrition and health of your animals. Our pets don't live as long as we'd like; My Best Friend Photography captures the beautiful images and memories so we can bring them along with us forever. Natalie has several years experience in the industry, and has a special rate for newly adopted MexPups! Check out her website or give her a call today! 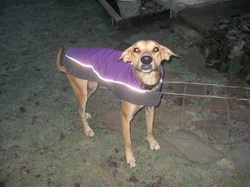 Big Woof for Natalie! Thank you for the beautiful photos that will help our furry friends find homes, and for the newly adopted ones who celebrate the best day of their lives and have the ability to capture that moment forever. Jessica adopted Mexpup, Crackle, and uses her handsome boy as her poster boy for her photography business. 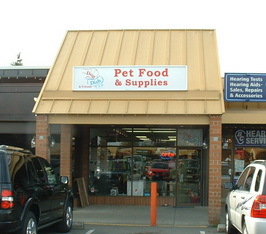 If your visiting Nanaimo or live in Nanaimo, please stop in to see what she has to offer you and your pet. Shes giving all Mexpups a discounted rate. Dent Techs Magazine will be donating 20% of all advertising funds directly to Mex Pup. MexPup is a non-profit dog rescue operation whose primary goal is to serve the homeless dog population via rescue and adoption. Our operation is based in Puerto Vallarta, Mexico. Once a month Mexpup and Bosley's get together for a fundraising and or adoption event. Check out Bosley's and come to an event.